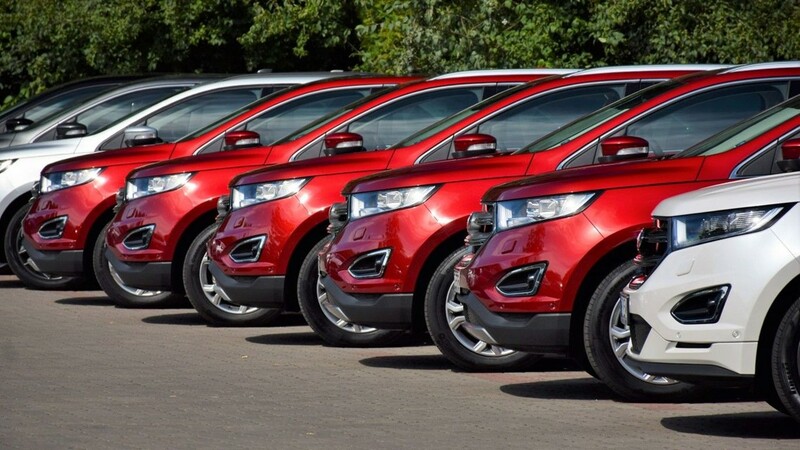 As auto sales hit their first slow period in years and margins are down, automakers must rely more on their reputations for quality and reliability to keep sales at current levels. 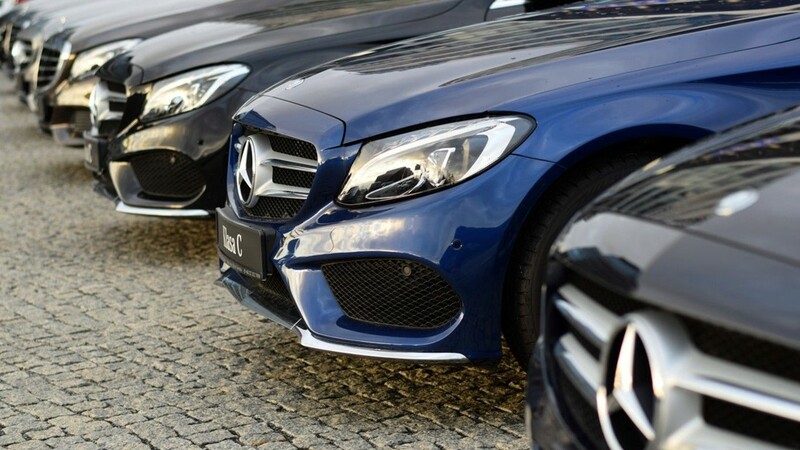 According to the latest results of a highly regarded poll on auto industry customer satisfaction released Tuesday, some brands are better able to deliver a positive customer experience. These findings come from the 2018 American Customer Satisfaction Index, which surveys car owners on their overall service and product experience with specific auto brands. Scores range from 1 to 100. According to the latest edition, the experience of owning an automobile has improved. The industry-wide score for 2018 is 82, up from 81 in 2017. The best-rated brands this year are a make that held the spot last year and one that moved up several spots. At the other end of the list, one brand holds the unfortunate distinction of being by far the worst-rated in the ACSI. 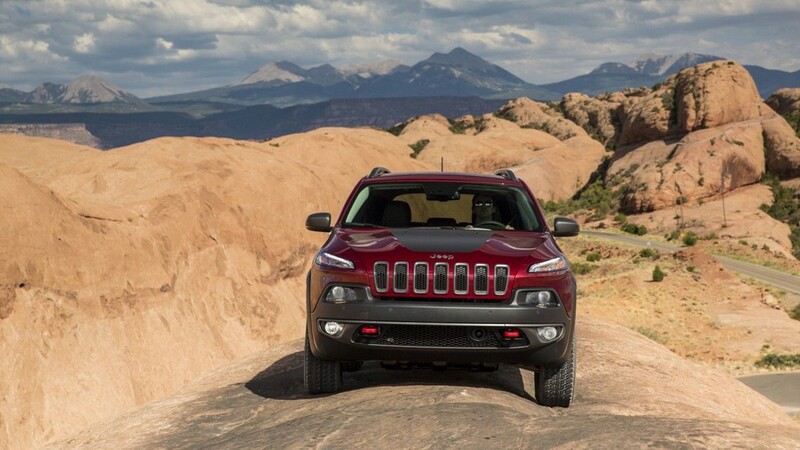 Notably, three of the five worst-ranked makes are Fiat Chrysler brands. 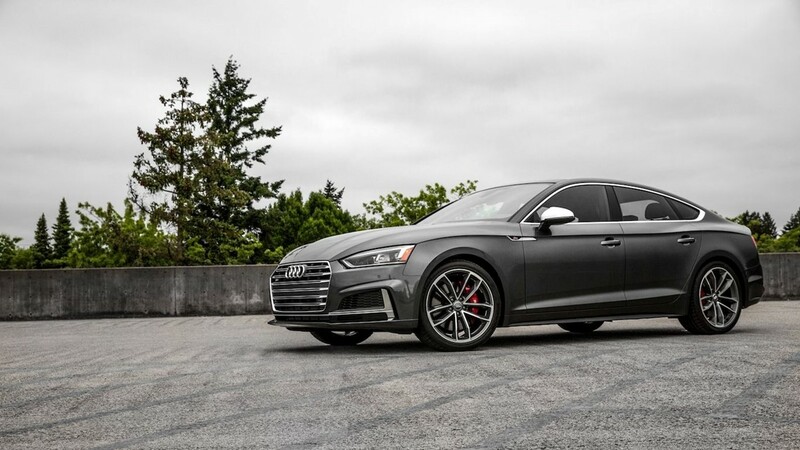 24/7 Wall St. reviewed the 2018 ACSI rankings to determine the best and worst car brands of 2018. 1. 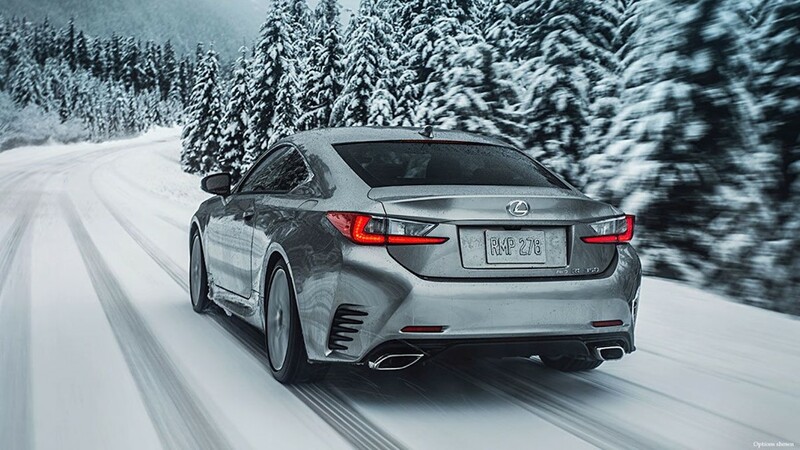 Lexus &nbsp; &nbsp; &bull; 2018 customer satisfaction index: 85 (tied) &nbsp; &nbsp; &bull; 2017 customer satisfaction index: 86 &nbsp; &nbsp; &bull; US YTD sales: 160,397 (-0.9%) &nbsp; &nbsp; &bull; US YTD market share: 1.6% &nbsp; &nbsp; Lexus is once again tied as the top-ranked auto brand in the ACSI customer satisfaction survey. Since 2011, it has been one of the top five ranked brands in the survey. Lexus also notched second overall spot in Consumer Reports' 2017 Predicted Reliability Score and first overall in J.D. Power's Vehicle Dependability Study. 3. Subaru &nbsp; &nbsp; &bull; 2018 customer satisfaction index: 84 (tied) &nbsp; &nbsp; &bull; 2017 customer satisfaction index: 85 &nbsp; &nbsp; &bull; US YTD sales: 399,337 (+5.2%) &nbsp; &nbsp; &bull; US YTD market share: 4.0% &nbsp; &nbsp; Like in years past, Subaru owners are among the most satisfied with their vehicles. 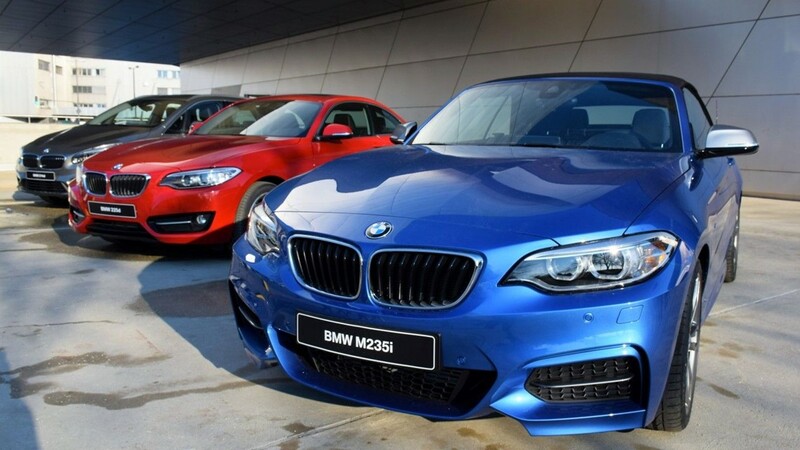 The Japanese automaker has scored at least 82 out of 100 in the ACSI ranking in each of the last seven years. Consumer Reports also says Subaru's 2018 model year vehicles are the sixth most reliable class of new cars, up five spots from the previous year. 5. 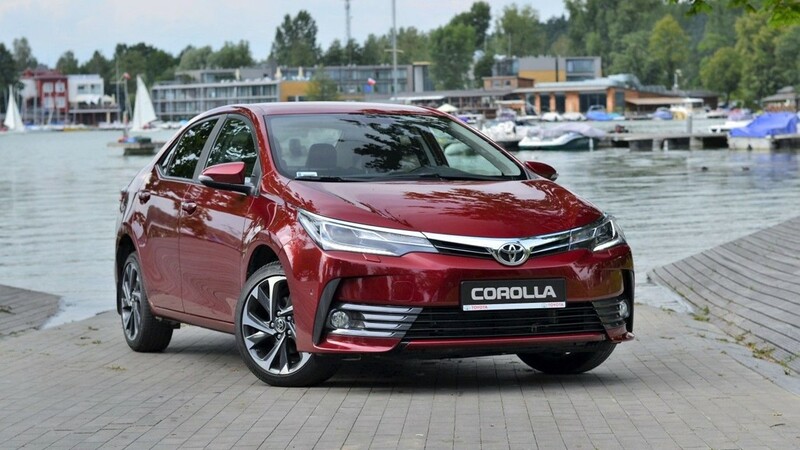 Toyota &nbsp; &nbsp; &bull; 2018 customer satisfaction index: 83 (tied) &nbsp; &nbsp; &bull; 2017 customer satisfaction index: 86 &nbsp; &nbsp; &bull; US YTD sales: 1,286,524 (+5.9%) &nbsp; &nbsp; &bull; US YTD market share: 12.8% &nbsp; &nbsp; Toyota is the only car brand that ranks highly in terms of market share and overall owner satisfaction. 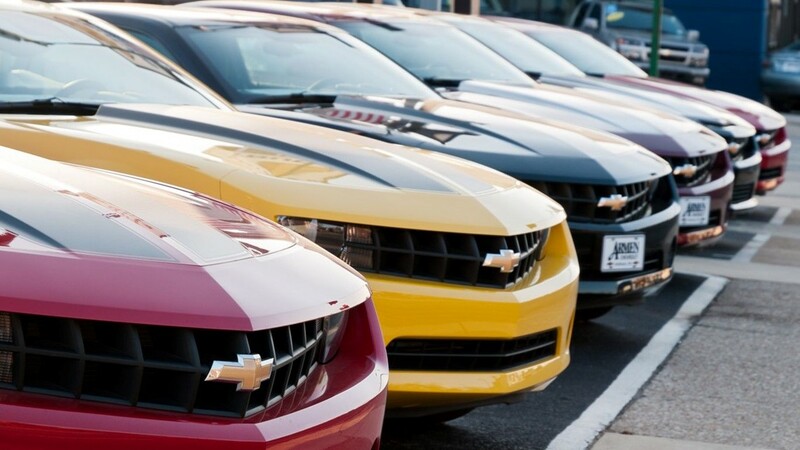 Chevrolet and Ford are the only other car brands with a market share greater than 10%, but neither ranked among the top 20 car brands in the 2018 ACSI. 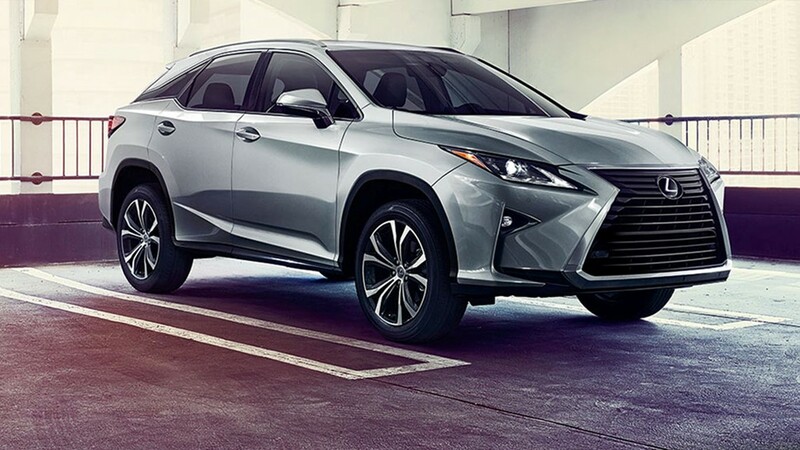 2018 model year Toyotas received the highest average reliability score from Consumer Reports. 7. 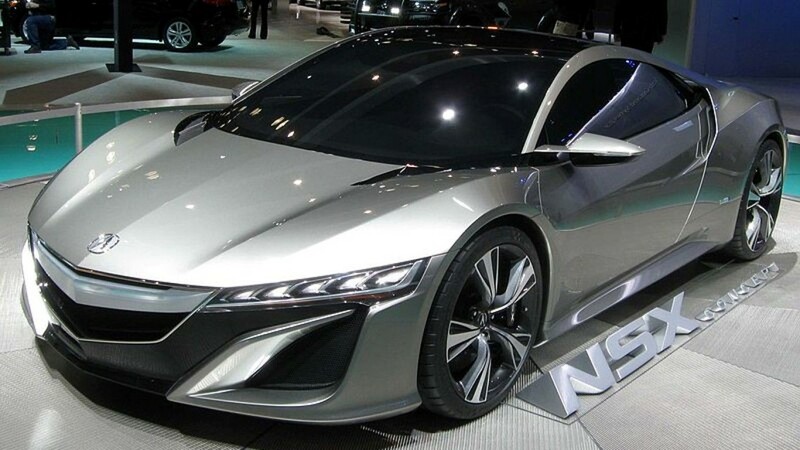 Honda &nbsp; &nbsp; &bull; 2018 customer satisfaction index: 83 (tied) &nbsp; &nbsp; &bull; 2017 customer satisfaction index: 81 &nbsp; &nbsp; &bull; US YTD sales: 840,256 (-1.7%) &nbsp; &nbsp; &bull; US YTD market share: 8.3% &nbsp; &nbsp; After coming in as one of the less-satisfactory car brands with the 2017 model year, Honda improved its score from 81 to 83 and vaulted several places on the list to a tie for fifth. 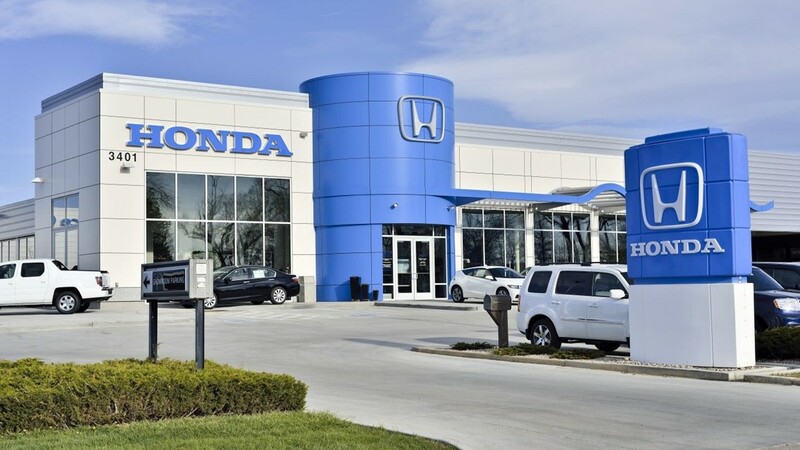 Though Honda's overall sales are down so far this year, sales have improved in the quarter ending in June compared to the same quarter last year. Particularly, SUV sales have improved. 9. 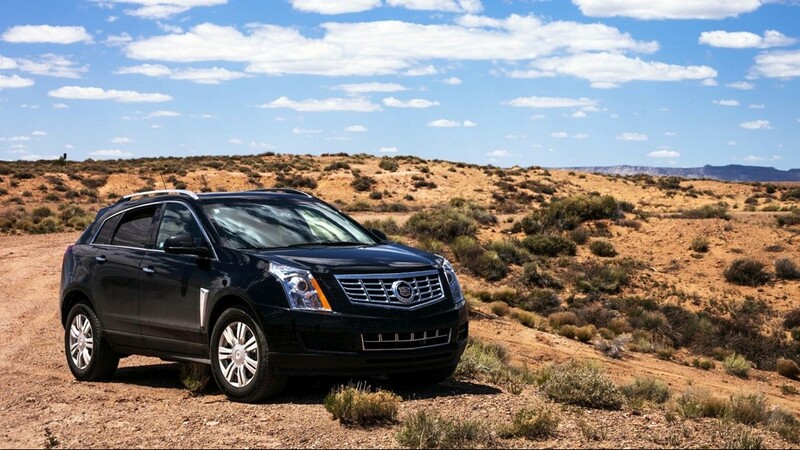 Cadillac &nbsp; &nbsp; &bull; 2018 customer satisfaction index: 82 (tied) &nbsp; &nbsp; &bull; 2017 customer satisfaction index: 83 (through Q2) &nbsp; &nbsp; &bull; US YTD sales: 75,949 (+5.4%) &nbsp; &nbsp; &bull; US YTD market share: 0.9% &nbsp; &nbsp; Cadillac has had its share of struggles, but there are signs of light for the GM brand. General Motors' highest-ranked make on this list also reported a 5.4% sales increase in the first half of 2018 compared to the same period in 2017. 11. 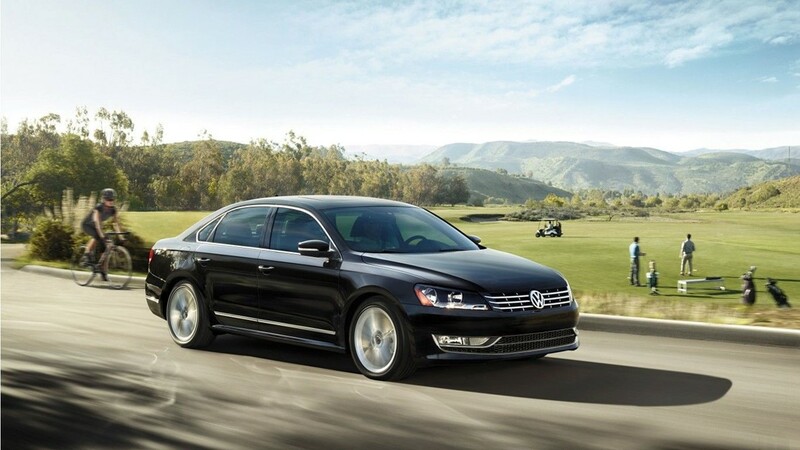 Volkswagen &nbsp; &nbsp; &bull; 2018 customer satisfaction index: 82 (tied) &nbsp; &nbsp; &bull; 2017 customer satisfaction index: 79 &nbsp; &nbsp; &bull; US YTD sales: 203,407 (+8.0%) &nbsp; &nbsp; &bull; US YTD market share: 2.0% &nbsp; &nbsp; It has been three years since a carbon emissions scandal rocked the German automaker. The company's sales plummeted as a result, and the brand's image suffered severely. The company may only now be starting to recover. From 2010 through 2014, the company averaged a score of 84. It scored 80 in 2015, a 78 in 2016, and a 79 in 2017. The company received an 82 this year, returning to the industry average score for the first time since the scandal. 13. Mini &nbsp; &nbsp; &bull; 2018 customer satisfaction index: 80 (tied) &nbsp; &nbsp; &bull; 2017 customer satisfaction index: 0 &nbsp; &nbsp; &bull; US YTD sales: 26,932 (+1.3%) &nbsp; &nbsp; &bull; US YTD market share: 0.3% &nbsp; &nbsp; Mini's customer satisfaction score of 80 falls below the industry average of 82. However, the small car brand still has its positives, as it is one of just four car brands to score a perfect 10 in dealer experience, according to J.D. Power. 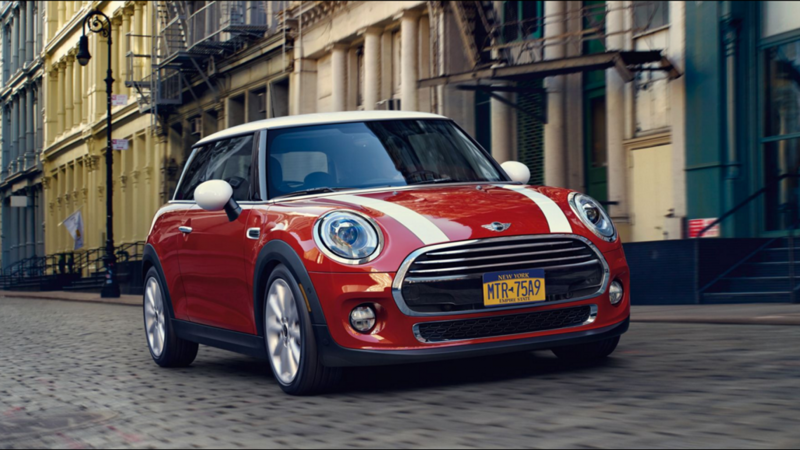 Mini is one of the smallest carmakers the ACSI ranks, as its market share is just 0.3%. Its year to date sales are up 1.3% compared to the same period last year. 15. 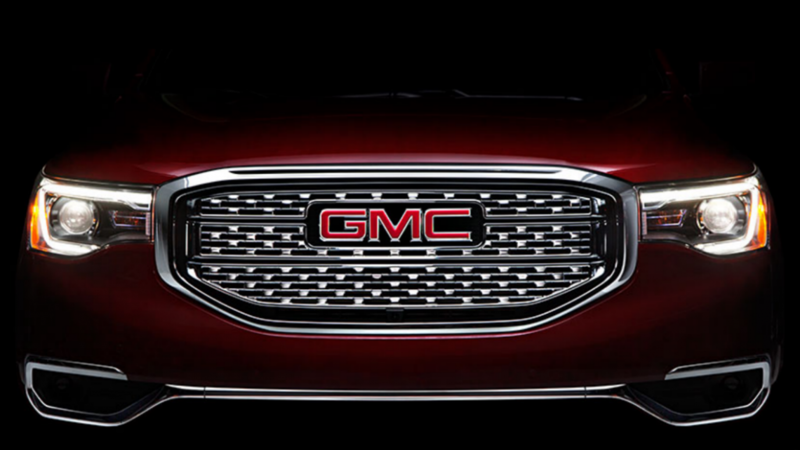 GMC &nbsp; &nbsp; &bull; 2018 customer satisfaction index: 80 (tied) &nbsp; &nbsp; &bull; 2017 customer satisfaction index: 84 &nbsp; &nbsp; &bull; US YTD sales: 269,507 (+2.4%) (through Q2) &nbsp; &nbsp; &bull; US YTD market share: 3.1% &nbsp; &nbsp; GMC had the second worst drop in customer satisfaction in the 2018 ACSI ranking. The GM brand of vans, SUVs, and trucks declined from a rank of 84 last year, then tied with Mercedes-Benz for fourth best overall. 16. Hyundai &nbsp; &nbsp; &bull; 2018 customer satisfaction index: 80 (tied) &nbsp; &nbsp; &bull; 2017 customer satisfaction index: 83 &nbsp; &nbsp; &bull; US YTD sales: 378,922 (-2.6%) &nbsp; &nbsp; &bull; US YTD market share: 3.8% &nbsp; &nbsp; Hyundai ranks among the 10 best car brands in both J.D. Power's quality and dependability rankings and Consumer Reports' reliability ranking, but reviews of overall customer satisfaction in the ACSI survey are below average. The brand's ACSI score fell to 80 in 2018 from 83 last year. 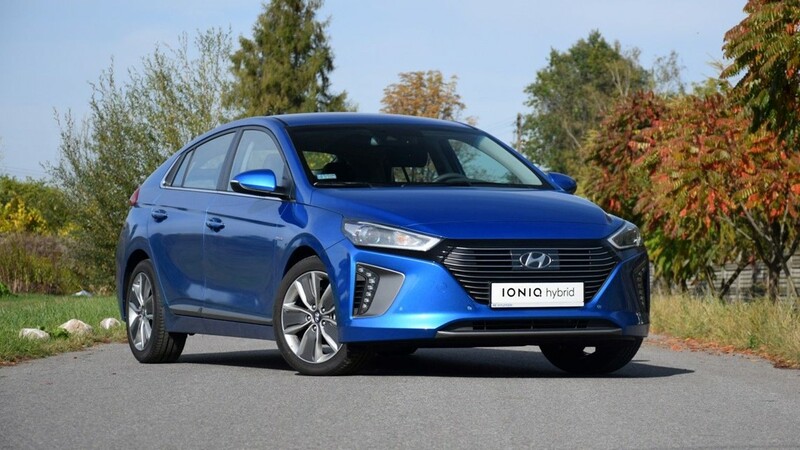 Sales of Hyundai are down 2.6% through the first seven months of the year, compared to the same period in 2017. &nbsp; &nbsp; ALSO READ: 100 Most Popular Musicians on Tour This Year! 17. 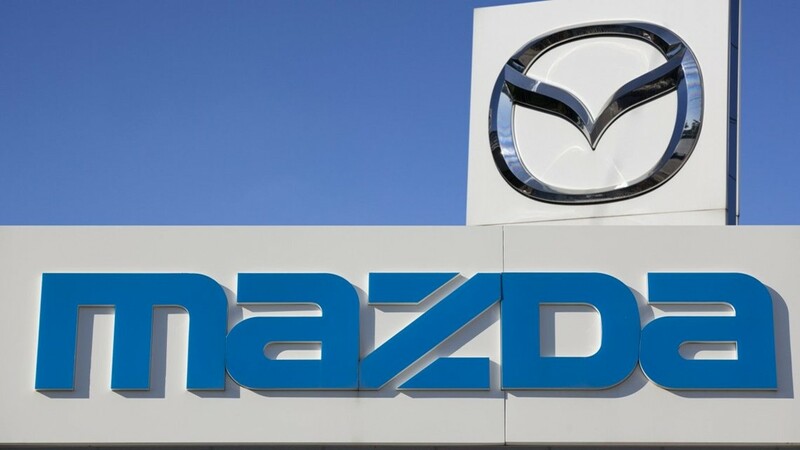 Mazda &nbsp; &nbsp; &bull; 2018 customer satisfaction index: 80 (tied) &nbsp; &nbsp; &bull; 2017 customer satisfaction index: 82 &nbsp; &nbsp; &bull; US YTD sales: 188,049 (+11.5%) &nbsp; &nbsp; &bull; US YTD market share: 1.9% &nbsp; &nbsp; Mazda's score fell from 82 in 2017 to 80 in 2018. The brand's score declined even as the industry average rose from 81 to 82. Sales of the Japanese automaker have improved, however, and are up 11.5% this year through July compared to the same period in 2017. 19. 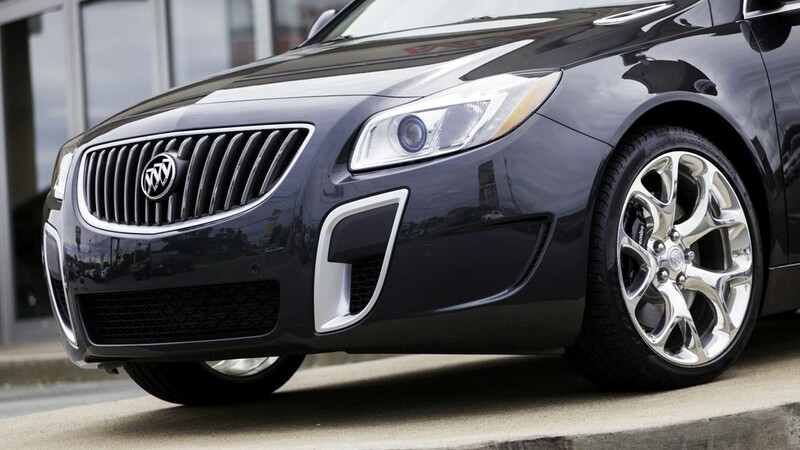 Buick &nbsp; &nbsp; &bull; 2018 customer satisfaction index: 80 (tied) &nbsp; &nbsp; &bull; 2017 customer satisfaction index: 80 &nbsp; &nbsp; &bull; US YTD sales: 109,695 (-0.6%) (through Q2) &nbsp; &nbsp; &bull; US YTD market share: 1.3% &nbsp; &nbsp; Buick's sales have faltered of late and are down slightly through the first half of 2018 compared to the same period in 2017. In recent years, the brand's rating in the ACSI has plummeted from a high of 88 in 2010. 20. Nissan &nbsp; &nbsp; &bull; 2018 customer satisfaction index: 80 (tied) &nbsp; &nbsp; &bull; 2017 customer satisfaction index: 80 &nbsp; &nbsp; &bull; US YTD sales: 807,570 (-5.9%) &nbsp; &nbsp; &bull; US YTD market share: 8.0% &nbsp; &nbsp; Nissan is one of eight car brands that scored an 80 in the 2018 ACSI ranking. The Japanese automaker has struggled in 2018, reporting steep sales drops in several months. 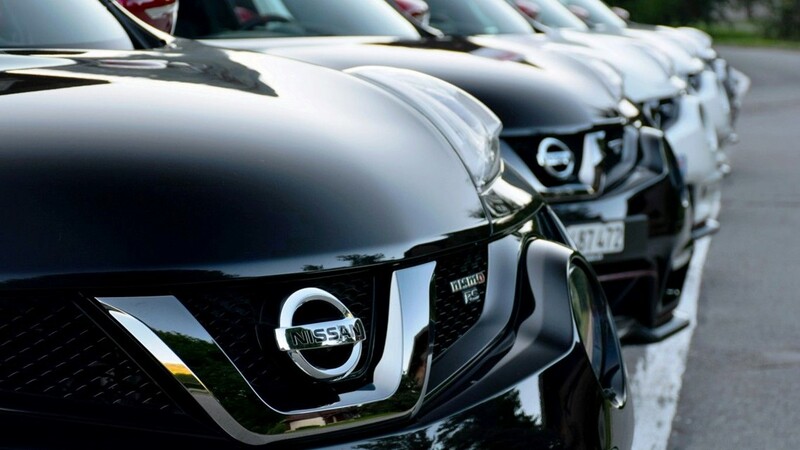 On a positive note for the brand, Nissan scored a 9 out of 10 for overall quality in 2018 from J.D. Power. &nbsp; &nbsp; ALSO READ: How Bad Is the Flu Season in Every State? 21. Kia &nbsp; &nbsp; &bull; 2018 customer satisfaction index: 79 (tied) &nbsp; &nbsp; &bull; 2017 customer satisfaction index: 82 &nbsp; &nbsp; &bull; US YTD sales: 346,675 (-1.6%) &nbsp; &nbsp; &bull; US YTD market share: 3.4% &nbsp; &nbsp; Kia scored an 82 on the ACSI last year after receiving less than an 80 in both previous years. But the South Korean brand regressed in 2018, scoring a 79. 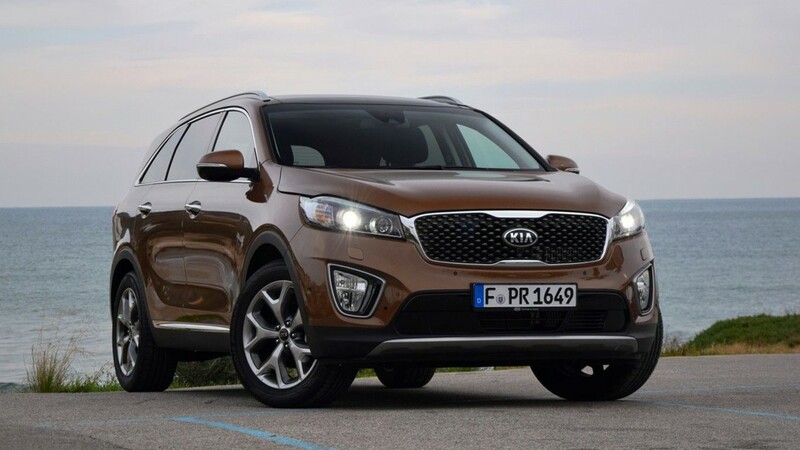 Kia sales are also down 1.6% in 2018 compared to the same period in 2017. 23. Mitsubishi &nbsp; &nbsp; &bull; 2018 customer satisfaction index: 79 (tied) &nbsp; &nbsp; &bull; 2017 customer satisfaction index: 78 &nbsp; &nbsp; &bull; US YTD sales: 77,277 (+23.4%) &nbsp; &nbsp; &bull; US YTD market share: 0.8% &nbsp; &nbsp; Japanese auto brand Mitsubishi has only been rated by the ACSI for four years, but it has never scored better than 79. The brand had been performing poorly for years, but the company has recently shown signs of life. Sales are up 23.4% through the first seven months of 2018 compared to the same period last year. 25. Fiat &nbsp; &nbsp; &bull; 2018 customer satisfaction index: 78 (tied) &nbsp; &nbsp; &bull; 2017 customer satisfaction index: 75 &nbsp; &nbsp; &bull; US YTD sales: 9,525 (-43.7%) &nbsp; &nbsp; &bull; US YTD market share: 0.1% &nbsp; &nbsp; Fiat's launch in the United States has been by most measures a disaster for Fiat Chrysler. 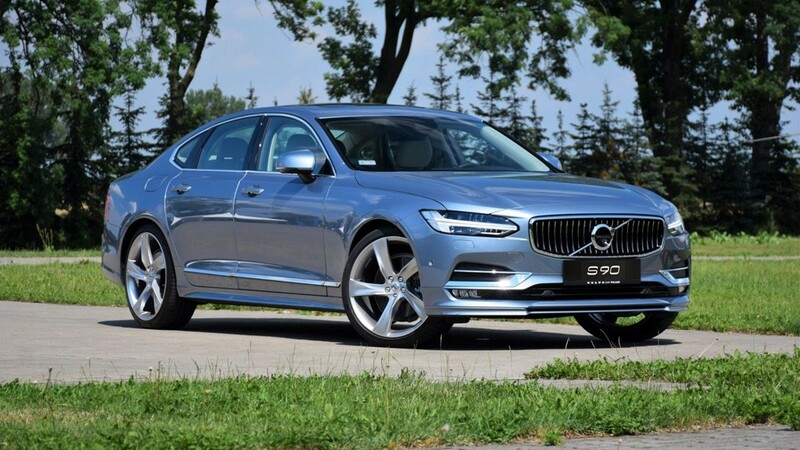 The brand never managed to gain a foothold in the U.S. market, and sales continue to plummet -- down by a staggering 43.7% year-to-date, by far the largest decline of any auto brand on this list. 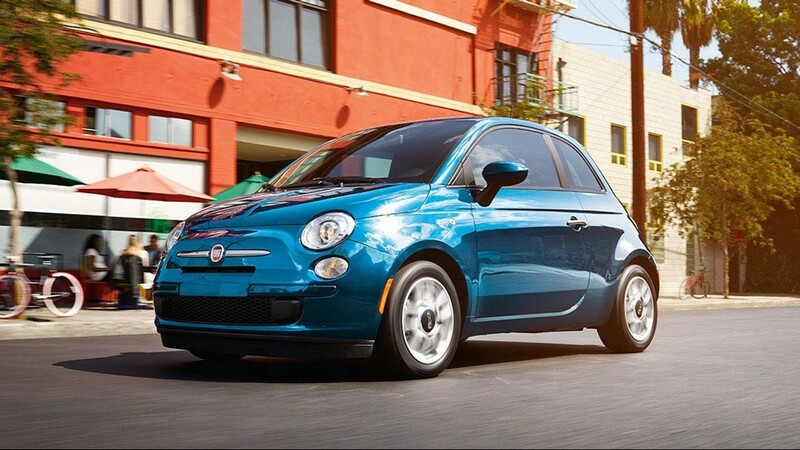 Fiat cars also rank among the worst in several measures of quality and customer satisfaction. 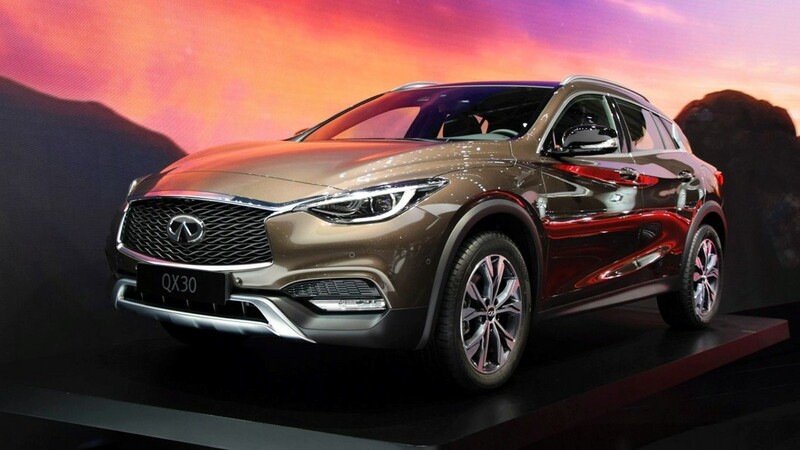 The good news for the company is that the brand moved out of the worst overall slot in the 2017 ACSI to tie for third-worst with Infiniti. 27. 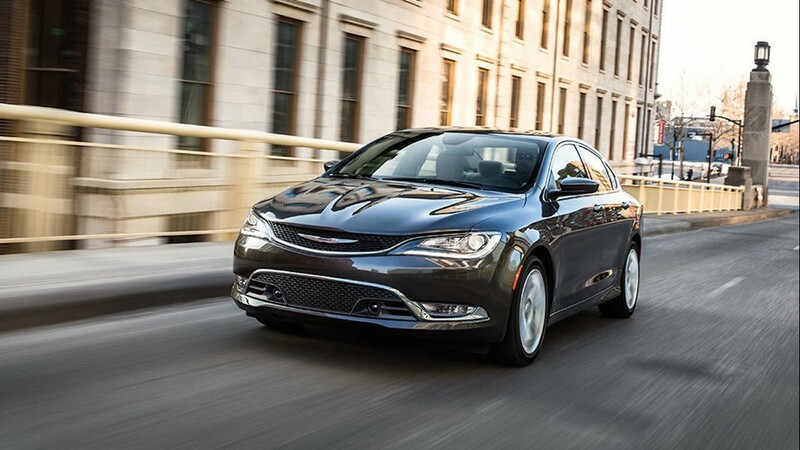 Dodge &nbsp; &nbsp; &bull; 2018 customer satisfaction index: 77 (tied) &nbsp; &nbsp; &bull; 2017 customer satisfaction index: 75 &nbsp; &nbsp; &bull; US YTD sales: 282,052 (-3.5%) &nbsp; &nbsp; &bull; US YTD market share: 2.8% &nbsp; &nbsp; Like each of the five brands with the worst customer satisfaction reviews in 2018, Dodge sales are down -- by 3.5% in the first seven months of 2018 compared to the same period last year. 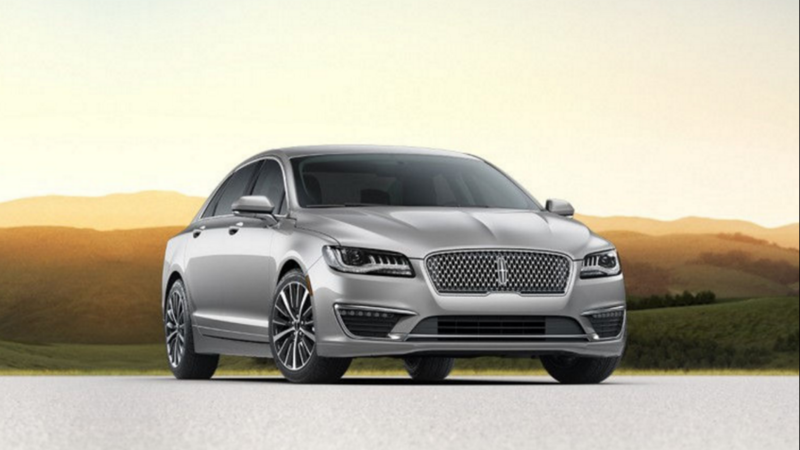 In addition to tying with Ford for the second worst ACSI score in 2018, the brand also rates poorly in several other quality measures. It scores a 1 out of 10 on J.D. Power's Dealership Experience rating, and it is the fourth worst ranked auto brand in Consumer Reports' car reliability scorecard. Ask buyers of the redesigned 2019 Chevrolet Silverado, 2019 GMC Sierra or 2019 Ram pickups what makes them so cool, and one answer will be the added storage. From snug, hidden cubbyholes inside the pickups to extended boxes and beds outside, designers did not let an inch of space go to waste. 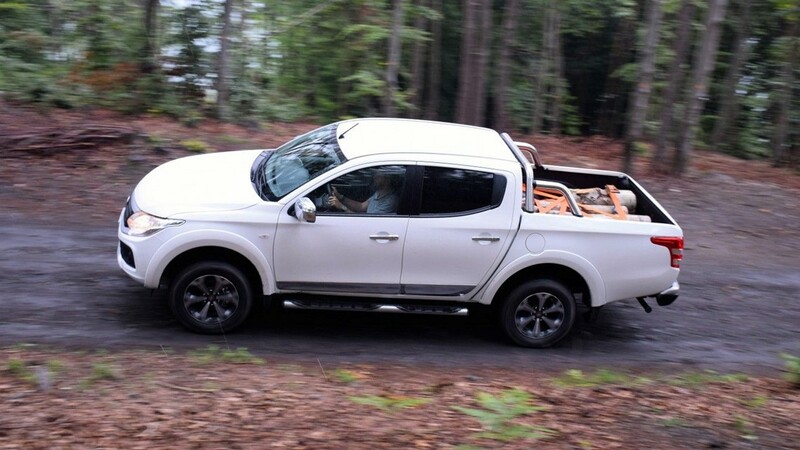 That means these redesigned pickups can haul a lot without ever hitching up a trailer. "You're using your vehicle as more than just a car, you're putting a lot of things in it and not just going from point A to B. You're living in it," said Ryan Nagode, chief designer for Ram performance car and Dodge interiors. When it comes to utility, most people think of the bed or the pickup's towing capacity or the ability to drive off-road, Nagode said. But designers didn't want to ignore the utility in the interiors for storage. "We didn't want any dead air in the cabin," he said. "We utilized every part of it for storage." Nagode and his team grew the cabin in the redesigned 2019 Ram by 4 inches. Most of that room can be felt in the second row of seats. There, a person can raise the seats and create more flat floor space to easily load and unload large boxes. Ram engineers added some tie-downs on the floor to help hold those items in place during transport. 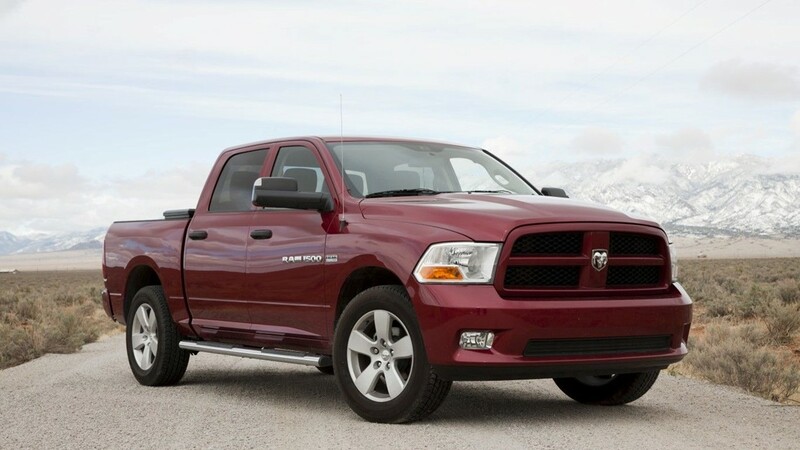 There is added storage in the redesigned 2019 Ram 1500 pickup with raised second-row seats. The 2019 Ram's front-row center console is bigger and offers multiple ways to configure it for daily use compared with the outgoing Ram, which had one configuration and held 23 liters. The console in the 2019 Ram holds up to 39 liters and has 12 configurations, Nagode said. The bigger and deeper center console in the redesigned 2019 Ram 1500 pickup. 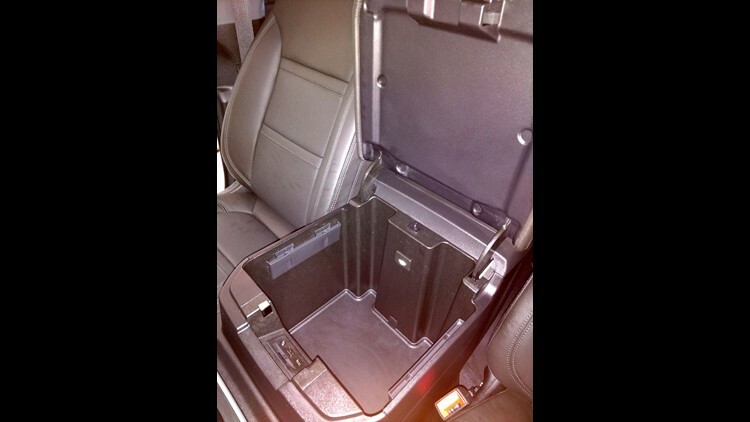 Given that many people want to store items securely and out of sight, Ram designers put locks on the glove compartments and created two in-floor storage bins in the rear. Those bins are 9 inches deep, 17 inches long and 5 inches wide. In total, they are 5 inches longer than bins in the outgoing model, meaning they can hold a drop hitch. Mopar sells locks for the in-floor bins, Nagode said. 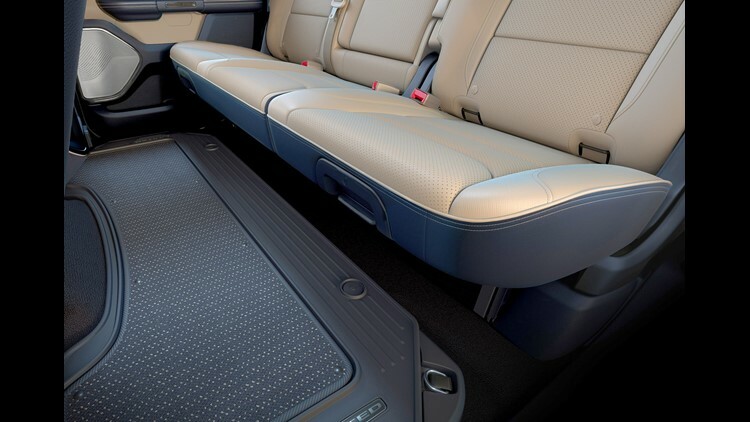 Under the rear seats, Ram offers a flip-out storage area that holds longer, awkward items such as fishing rods, a packed tent, folding chairs or a 4-foot level for contractors, Nagode said. 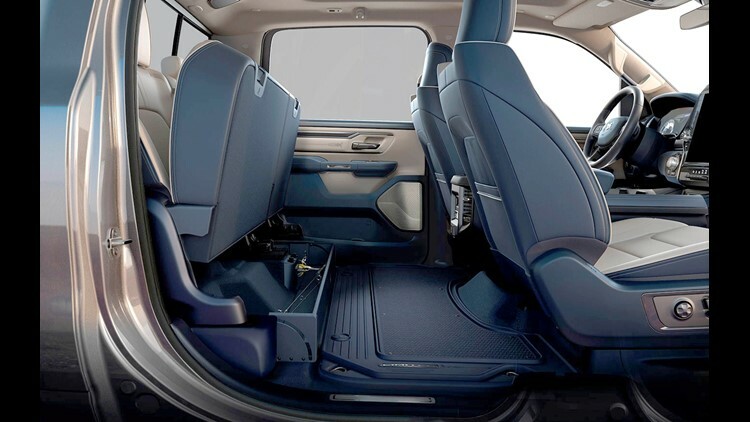 The in-floor bins in the 2019 Ram 1500’s cabin's rear area. 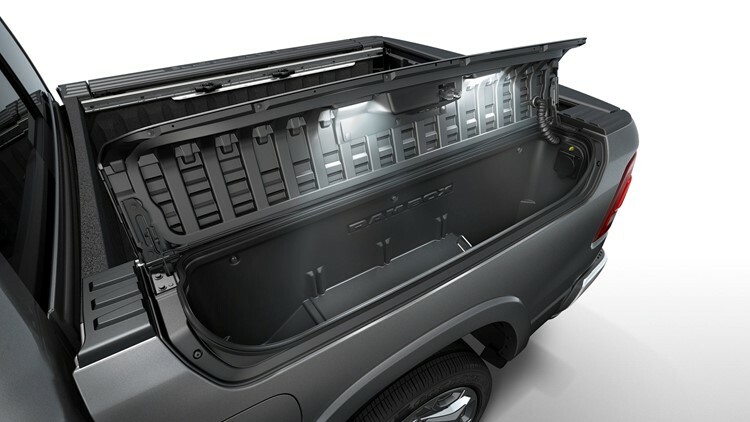 The well-known RamBox option runs along the bedside of the pickup and continues on in the 2019 model. These are the saddlebag storage units along both sides of the truck between the outside fender and the inner wall. 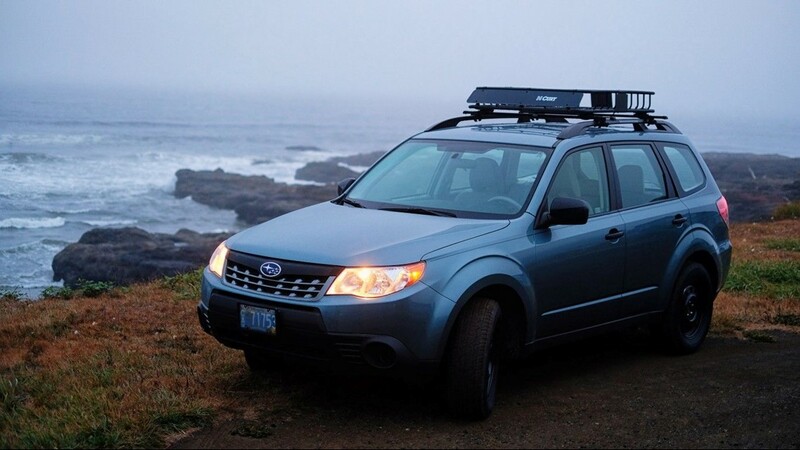 They can be locked and unlocked by a key fob along with all four doors and tailgate. The boxes, which hold 243 liters each, are only on the 5-foot-7 bed, said Nagode. "For 2019, we have about 151 liters of storage in the interior – that is about 75 2-liter bottles stacked against a wall," said Nagode. The 2018 Ram had 105 liters of storage, he said, and the 2019 model has "twice the amount of the closest competitor." That close competitor would be the Ford F-150, the nation's bestseller, which is refreshed for 2019, but not all-new like the Ram, Silverado and Sierra. 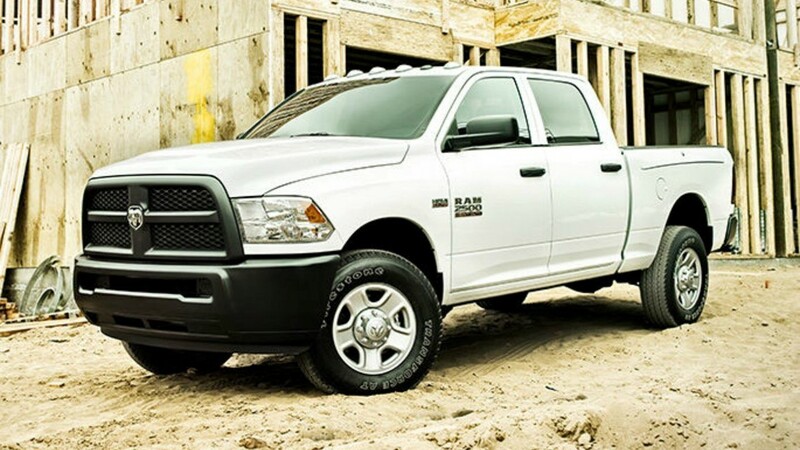 The Ram boxes in the 2019 1500 pickup offer close to 500 liters of storage space. General Motors engineers also made the most out of storage in the redesigned 2019 Chevrolet Silverado and 2019 GMC Sierra pickups, which GM started rolling out to dealers in August. "One thing we heard from customers is that they wanted more room for people and for stuff," said Monte Doran, GM spokesman. "All three of our cabs offer 3 inches more of leg room. You are carrying more people and more often than you did 10 years ago. We also have more tie-downs in the trucks. That's a big deal for customers to have convenient points to secure your cargo." The 2019 pickups have 12 tie-downs, up from eight in the 2018 model. The added storage was a selling point for Kurt Wagner, who bought a 2019 GMC Sierra Denali in August. "It has a lot of little compartments for storage," said Wagner. "There is a door inside the back seat to store things, there are two glove compartments, and under the backseat there is more storage that runs the length of the truck." The glove compartments are stacked on top of each other with locks, Silverado said. The upper glove box holds 2.6-liters of storage and is lockable. The lower glove box holds 6.8 liters, which is larger than the current-generation trucks, in response to customer feedback. It is not lockable. "We had tier glove compartments with previous generation trucks and it was a favorite for customers," said Doran. The 2019 GMC Sierra Denali Kurt Wagner bought has two glove compartments. 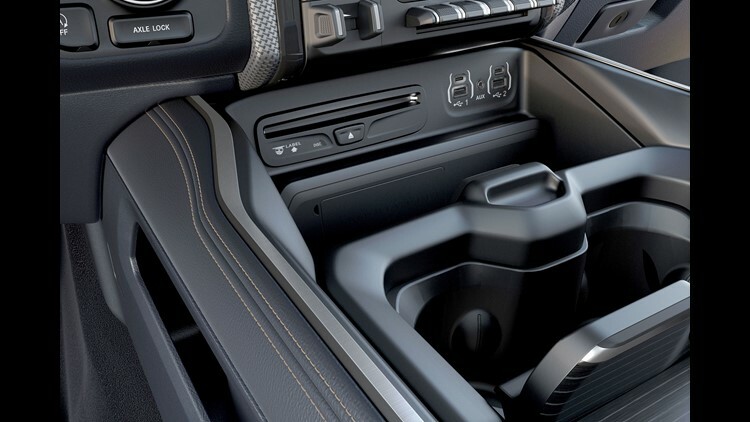 Similar to the Ram's center console, GM offers a functional center console on its Silverado and Sierra. An open storage bin sits in the center console and below the center stack display. It can store a cell phone and is the location of the charge pad if equipped with Wireless Charging. New on the 2019 model is a 1.9-liter open stowage tray on the IP pad, above the center stack display. It is suitable for phone storage or other small items, Silverado said. But, oh, is that new console bigger than the one on the 2018 Silverado, said Shane Redinger, salesman at George Matick Chevrolet in Redford, Michigan. The console on the 2018 model was 4.25 inches deep, compared with a whopping 10.5 inches deep on the 2019, Redinger said. 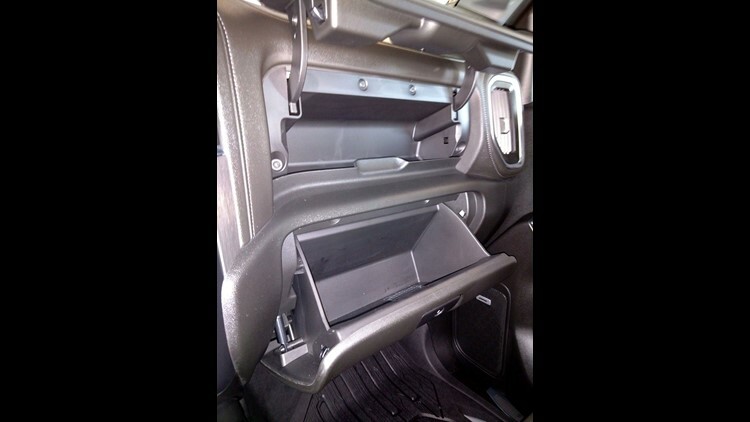 The 2019 GMC Sierra Denali's center console allows Kurt Wagner to hang his work files in it. Silverado said the lighted compartment holds 20.2 liters. 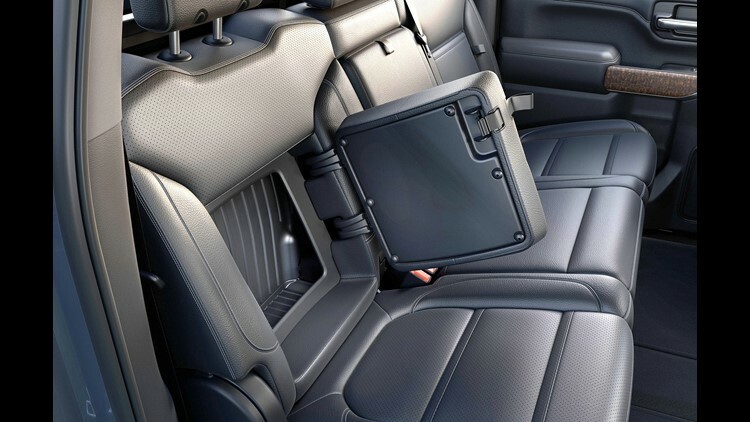 The driver can also use small exposed compartments on each side of the floor console by the driver and front passenger seats for umbrellas, cell phones and flashlights. Because of its depth and side grooves, Wagner hangs his office folders inside of it, he said. There is a built-in light in the enter console, and for $50 a customer can add a tray organizer accessory to the console, Redinger said. Also new on the 2019 models is a storage bin underneath the rear seat bottom, Doran said. Fold the rear seat's bottom up and the bin can hold umbrellas, gallons of milk and a trailer hitch, Doran said. You can buy a locking lid for it to protect valuables. Seat-back storage bins are also a new feature. Wagner uses that to keep his extra clothing for rainy or winter weather, he said. Chevrolet engineers have created more storage space on the truck's bed compared with the outgoing model and competitor models – that's even in Silverado's smaller variants. "Our short-box versus the F-150's short-box has 10 cubic feet more in it," said Chevrolet salesman Redinger. 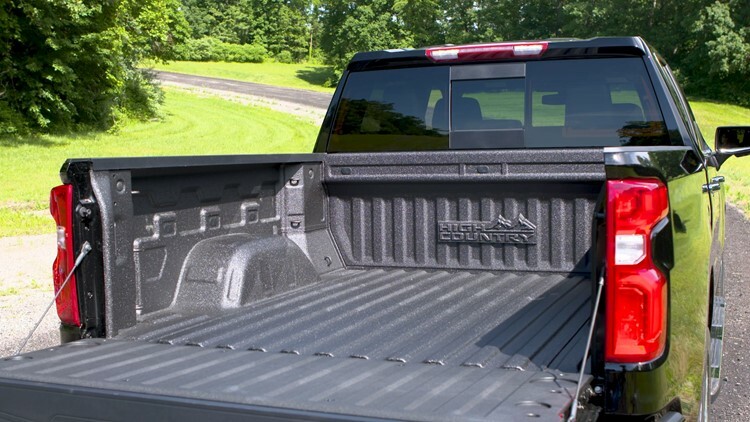 Redinger said the 2019 Silverado's short-box bed at 63 cubic feet is even longer than the standard-box bed on the F-150 and the Ram, which both measure 62 cubic feet. 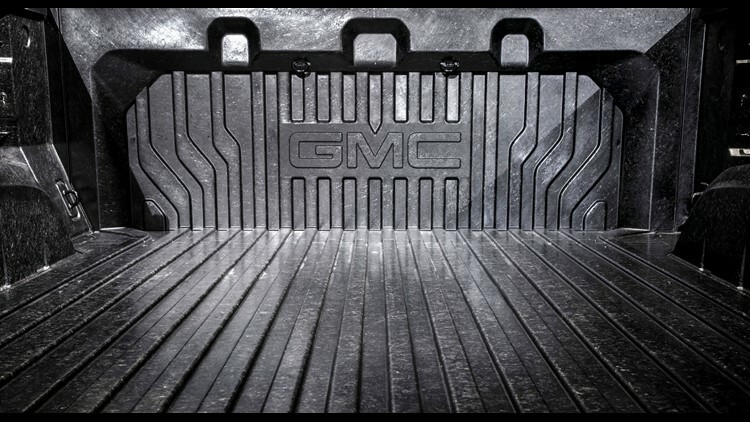 New this year, GM sells lockable bins that can be attached to the tie-down points in the bed of the truck to offer about 7 cubic feet more of storage for tools or chains. As Free Press Auto Critic Mark Phelan wrote: "The 2019 Silverado’s bed starts with a foundation of the roll-formed steel Chevrolet has touted in commercials for years, now upgraded for double strength. The bed is about 0.5-inches longer, but cargo space grows nearly 7.0 inches on the sides, thanks to steel bed walls that are scooped out closer to the truck’s outer skin. There’s just a half-inch space between the bed’s inner walls and the pickup’s outer skin." The sides of the bed rise 1.5-inches higher, the finishing touch for a truck whose short-bed Chevy says will contain 20 percent more than at least one competitor. The ability to carry 4 x 8-foot sheets of plywood goes without question.